Diane, I will send you an email shortly. 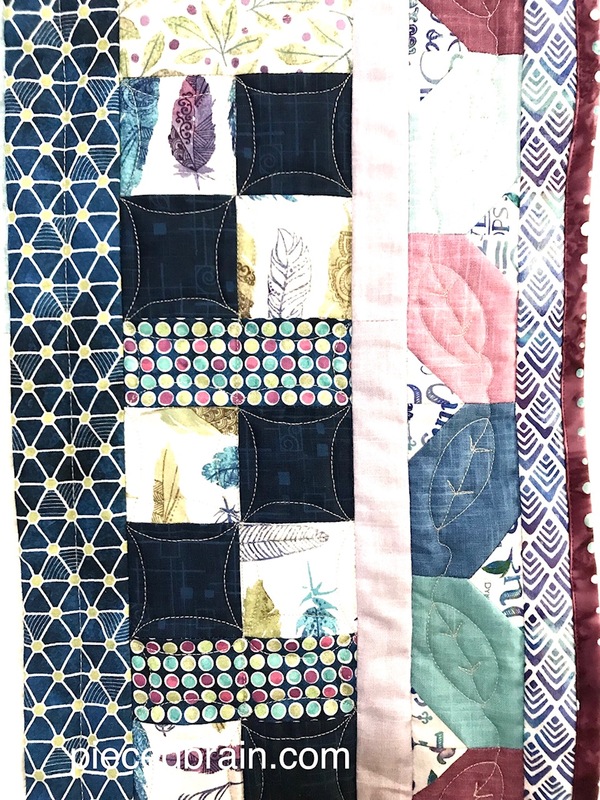 Congratulations, and be sure to send a photo of your completed quilt (no pressure!). Thank you for all your comments on this pattern - I agree: scrappy is the best whether it is controlled (all fabrics from one collection) or 'wild'! As I promised, this is my second quilt with All A Twitter by Hoffman Fabrics. 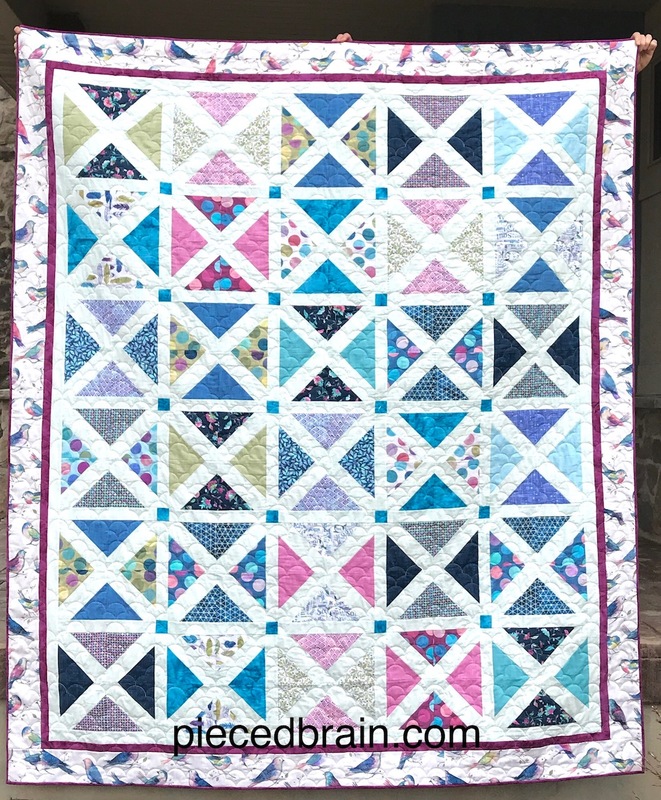 This pattern is called Morning Symphony and finishes at 43-1/2" square with 4" blocks. 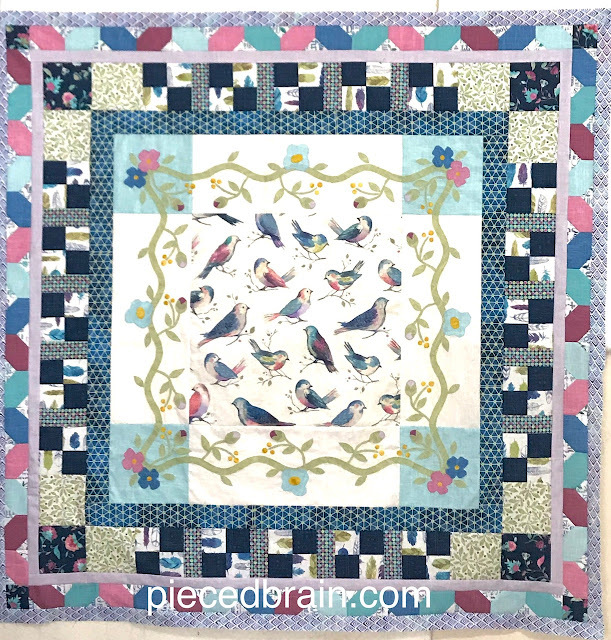 The bird print was used as a panel surrounded by vines and flowers which are machine appliqued with the blanket stitch (I always use the blanket stitch with matching thread, with only a few exceptions). 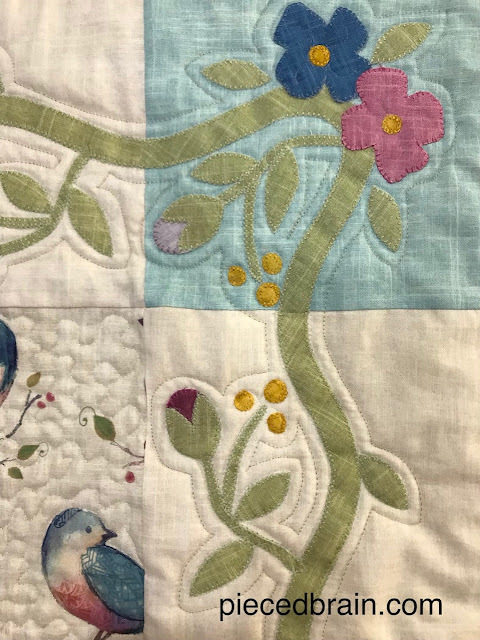 The quilting around the vines is a simple echo as you can see, to contrast with the densely quilted center. I like the texture of the linen fat quarters from the same All A Twitter collection: they make a perfect background for my applique'. 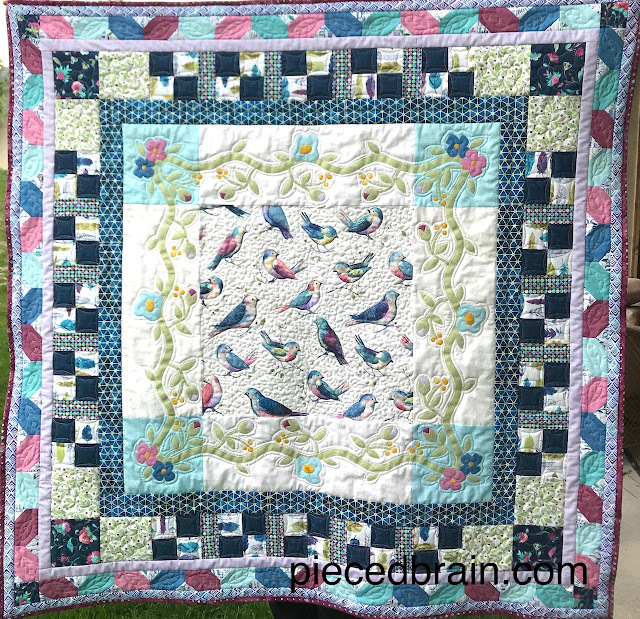 Funky photo, but you can see the quilting on the 4-patches and the leaves around the border. Here is the top before free motion quilting. I love all those prints! The pattern will be released soon so you can make your version of it. I hope I have provided enough inspiration for your weekend sewing. Have a fantastic one!